The extraction of temporal information from text is increasingly apparent in NLP applications, such as information extraction and question answering. Along with extracting the entities like PERSON, LOCATION, MONEY we can extract temporal range from a text. The theme of World Health Day, marked on 7 April 2013, was “Healthy Heart Beat, Healthy Blood Pressure”. "We can extract the following temporal information"
To extract such temporal information requires to recognize temporal expressions, and convert them to a normalized form. 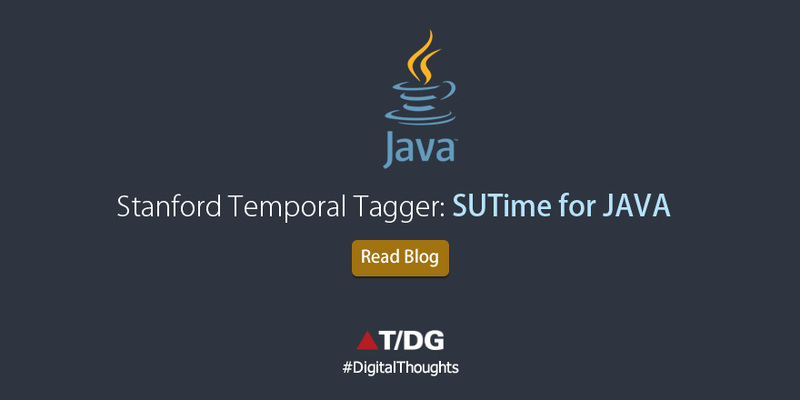 SUTime is a rule-based temporal tagger built on regular expression patterns. For a given text, after tokenization SUTime library finds temporal expressions and outputs annotations. These annotations are in the form of TIMEX3 tags. TIMEX3 is part of the TimeML annotation language for markup of events, times and their temporal relations in documents. SUTime supports four basic types of temporal: Time, Duration, Date and Set. 1. TIME: indicating a particular instance on a time scale. 2. DURATION: the amount of time between the two end-points of a time interval. 4. SET: periodic temporal sets representing times that occur with some frequency. We will use Stanford Temporal SUTime library for temporal information extraction using java.